Authentic Persian, Turkish, Chinese and other hand-knotted area rugs are timeless works of art that exude beauty, elegance, and quality. Expertly handcrafted by artisans who learned the craft of rug making from their ancestors, a high knot count 5×8 area rug can take two or more artisans over a year to make. The intricate designs can tell a story about the weaver, their view of paradise, of their country or even city or tribe. Choosing an Oriental rug cleaning professional is an essential part of preserving the value, beauty, and integrity of your textile investment. At Oriental Rug Salon, our rug restoration professionals understand cleaning and preservation of beautiful textiles better than most. Our restorative rug cleaning services are relied upon by many of our areas leading interior designers, rug collectors, insurance companies, restoration companies, and rug owners who appreciate the attention to detail and old-world craftsmanship. To us, it’s an honor and labor of love when a client entrusts his or her Oriental, wool or silk area rug to us. Our craftsmen are trained to clean rugs and textiles made from all natural fibers, including wool, silk, cotton, and leather as well as synthetics such as nylon and olefin. We are experts in pet urine decontamination, difficult stain treatment such as Kool-Aid and wine and offer a variety of repairs such as fringe maintenance, color correction and tear reconstruction. At Oriental Rug Salon, we take great pride in offering the highest quality work to our customers. All work is performed in our plant by experienced artisans who collectively have more than 40 years of experience in cleaning, restoration, and repair or all rug types. What sets Oriental Rug Salon apart from other cleaners is our experience, education, certification, craftsmanship and love of rugs. 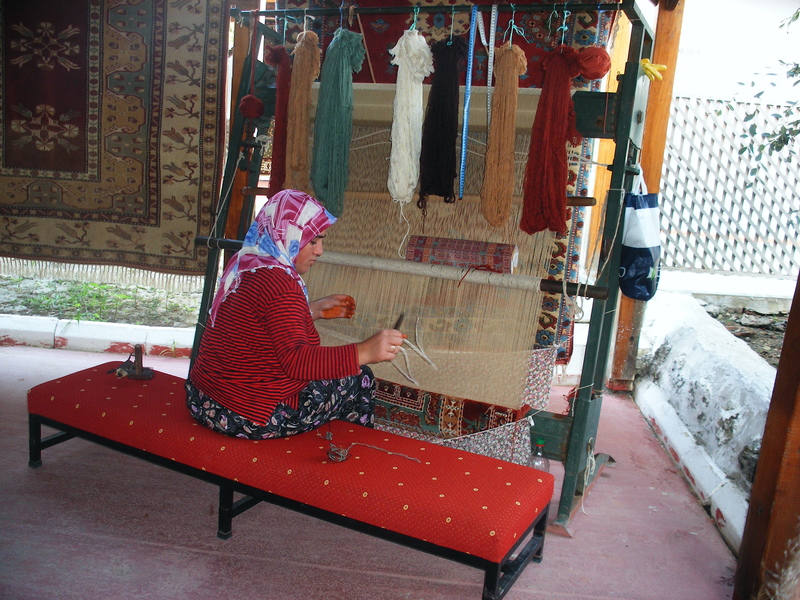 Some rug cleaning plants use high production automated equipment to “clean” hand-knotted area rugs. Not only do we believe this approach is inferior to the old-world hand wash approach, but it’s also impersonal and takes away the inch by inch personal attention that is so necessary for cleaning a treasured heirloom. We believe automated equipment is best left to car washes and production lines. From the very moment we accept your beautiful textile to the second it leaves our plant and we say thank you, your area rug is under the supervision of a certified professional and not a piece of automated machinery. Our hands-on approach allows our craftsmen to inspect and clean your area rug up close and personal leaving no detail untouched. What makes Oriental Rug Salon so unique – is the quality of the whole experience, from the moment we meet until we say “good bye and thank you.” We care just as much about your experience as you do. As a family owned company, we have a vested interest in ensuring our clients receive the highest level of service possible. To this end, we use the highest quality, environmentally friendly cleaning solutions available coupled with skilled craftsmen and a hands-on approach to cleaning. Our clients deserve this, and we wouldn’t have it any other way. With proper care, a beautiful Oriental rug will last many generations and many increase in worth both aesthetically and financially. Our goal is the conservation of your cherished heirloom so you and your family can enjoy it for generations to come. Oriental Rug Salon provides Oriental, wool, silk and synthetic area rug cleaning services throughout Lee, Collier and Charlotte County including the cities of Cape Coral, Fort Myers, Estero, Bonita Springs, Sanibel, Naples, Marco Island, Lehigh Acres, Fort Myers Beach, North Fort Myers, Pine Island, Punta Gorda, Captiva, Sarasota and Port Charlotte Florida.